If you haven’t heard yet, I am kickstarting my very first cookbook. Yup, you’ve asked for it and here it is! The very first official cookbook from Cooking Stoned. It’s called Holidazed and it’s your survival guide for the holiday season. Chock full of original drink recipes, the 60-page cookbook will feature festive creations using seasonal and organic ingredients, my take on the classics, fan favorites from here and other boozy concoctions like my spiked ice creams and spicy popsicles. Don’t worry, I’ll help you soak up all that booze with some small plates, appetizers and some of my secret hangover cures. Here is the first recipe I completed for the book, a Wine-Poached Pear Martini. This cocktail not only makes your house smell like Christmas, it tastes like it too! 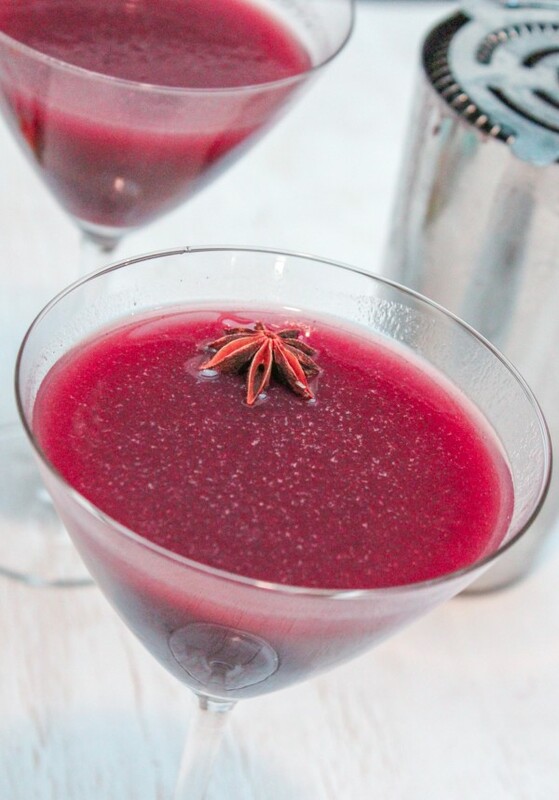 Swimming with clove, star anise, orange and more, you are going to want this drink recipe for you holiday party!